Mr. PAUL. Mr. Speaker, I rise today to introduce the Privacy Protection Act, which repeals those sections of the Illegal Immigration Reform and Immigrant Responsibility Act of 1996 authorizing the establishment of federal standards for birth certificates and drivers licenses. This obscure provision, which was part of a major piece of legislation passed at the end of the 104th Congress, represents a major power grab by the federal government and a threat to the liberties of every American, for it would transform state drivers licenses into national ID cards. If this scheme is not stopped, no American will be able to get a job; open a bank account; apply for Social Security or Medicare; exercise their Second Amendments rights; or even take an airplane flight unless they can produce a state drivers license, or its equivalent, that conforms to federal specifications. Under the 1996 Kennedy-Kassebaum health care reform law, Americans may even be forced to present a federally-approved drivers license before consulting their physicians for medical treatment! Mr. Speaker, the Federal Government has no constitutional authority to require Americans to present any form of identification before engaging in any private transaction such as opening a bank account, seeing a doctor, or seeking employment. Any uniform, national system of identification would allow the federal government to inappropriately monitor the movements and transactions of every citizen. History shows that when government gains the power to monitor the actions of the people, it eventually uses that power to impose totalitarian controls on the populace. Any member who is reluctant to support this legislation should consider the reaction of the American people when they discover that they must produce a federally-approved ID in order to get a job or open a bank account. Already many offices are being flooded with complaints about the movement toward a national ID card. If this scheme is not halted, Congress and the entire political establishment could drown in the backlash from the American people. In fact, I am holding in my hand a letter from almost all citizens groups from across the political spectrum, representing thousands of Americans, opposing the plans to implement a national ID. Although the Transportation Appropriations bill restricts the Department of Transportation from implementing a final rule regarding this provision, the fact is that unless the House acts this year to repeal the provision, states will begin implementing the law so as to be in compliance with the mandate. Therefore, Congress must repeal Section 656 in order to comply with the Constitution and the wishes of the vast majority of the American people who do not want to be forced to carry a national ID card. National ID cards are a trademark of totalitarianism and are thus incompatible with a free society. In order to preserve some semblance of American liberty and republican government I am proud to introduce the Privacy Protection Act. I urge my colleagues to stand up for the rights of American people by cosponsoring the Freedom and Privacy Restoration Act. We represent a broad-based coalition of state legislators, county officials, public policy groups, civil libertarians, privacy experts, and consumer groups from across the political spectrum. We urge the Congress to repeal Section 656 of the Illegal Immigration Reform and Immigrant Responsibilities Act of 1996 that requires states to collect, verify and display social security numbers on state-issued drivers licenses and conform with federally-mandated uniform features for drivers license. The law preempts state authority over the issuance of the state drivers licenses, violates the Unfunded Mandate Reform Act of 1994 (UMRA) and poses a threat to the privacy of citizens. Opposition to the law and the preliminary regulation issued by the National Highway Traffic Safety Administration (NHTSA) has been overwhelmingly evidence by the more than 2,000 comments submitted by individuals, groups, state legislators, and state agencies to NHTSA. The law and the proposed regulation run counter to devolution. The law preempts the traditional state function of issuing drivers licenses and places it in the hands of officials at NHTSA while imposing tremendous costs on the states that have been vastly underestimated in the Preliminary Regulatory Evaluation. The actual cost of compliance with the law and the regulation far exceeds the $100 million threshold established by UMRA. In addition, the law and proposed regulation require states to conform their drivers licenses and other identity documents to a detailed federal standard. Proposals for a national ID have been consistently rejected in the United States as an infringement of personal liberty. The law raises a number of privacy concerns relating to the expanded use and dissemination of the Social Security Number (SSN), the creation of a national ID cared, and the violation of federal rules of privacy. The law and proposed rule require that each license contain either in visual or electronic form the individuals SSN unless the state goes through burdensome and invasive procedures to check each individualss identify with the Social Security Administration. This will greatly expand the dissemination and misuse of the SSN at a time that Congress; the states, and the public are actively working to limit its dissemination over concerns of fraud and privacy. Many states are taking measures to reduce the use of SSNs as the drivers identify number. Only a few states currently require the SSN to be used as an identifier on their drivers licenses. While the impact of Section 656 may not been fully comprehended in 1996, we urge the Congress now to act swiftly to repeal this provision of law that has been challenged by many diverse groups. If you or your staff have any further questions, please contact Dawn Levy of the National Conference of State Legislatures at (202) 624�8687. 1999 Ron Paul 68:2 federally-approved probably should be unhyphenated: federally approved. 1999 Ron Paul 68:4 federally-approved probably should be unhyphenated: federally approved. 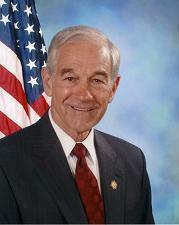 1999 Ron Paul 68:8 federally-mandated probably should be unhyphenated: federally mandated. 1999 Ron Paul 68:11 the creation of a national ID cared probably should be the creation of a national ID card.